The Prem Ras Madira written by Kripalu Ji Maharaj is an important book written to help us attain Bliss and become a servant of Krishn. The Prem Ras Madira is vital because it contains the 7 steps of God Realization. For those of you who have not had the opportunity to understand his concepts, this website helps to give you an understanding of his teachings. To fully grasp his teachings, you have to attend his Satsang and read other books regarding his philosophical views. Here is an introduction to the first four steps. Steps five through seven of Kripaluji Maharaj’s teachings can be found at Kripalu-Ji-Maharaj.net. 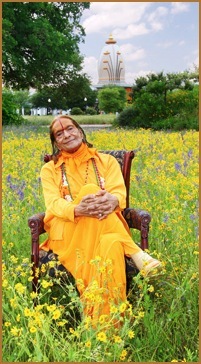 Kripalu Ji Maharaj has helped to bring the essence of Bhartiya scriptures to the majority of people. This is beneficial for humanity because Bhartiya is written in Sanskrit, a scholarly language that is not taught as universally as it was five hundred years ago. To assist in enlightening the general public, Jagadguru Shree Kripaluji Maharaj has created a series of devotional books giving people the opportunity to immerse themselves in knowledge. The Prem Ras Madira is one of his most profound works, containing the seven steps to obtain the realization of God. It contains 1008 songs of Radha Krishn. The realization of God is dependent upon the devotee, who can obtain an enriching experience by dedicating oneself to the Bliss of Radha Krishn.